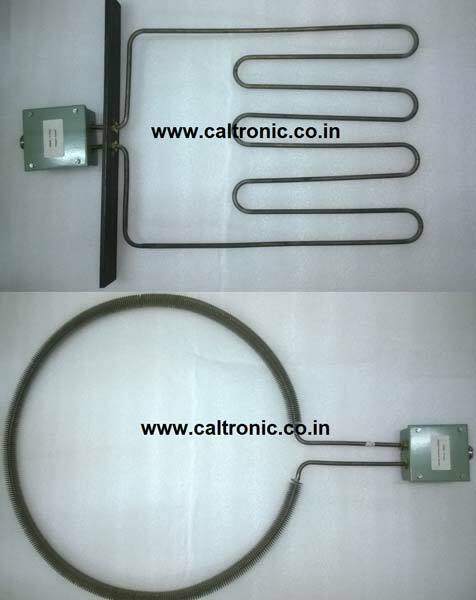 We are a trusted name, actively engaged in manufacturing, exporting & supplying of Insulator & Hopper Heaters. Owing to their wide industrial usage, we make them available in various shapes & power wattage. Our heaters are noted for their high-grade, excellent operational fluency and low maintenance requirements. Interested buyers can acquire them at moderate prices, from us. Heating element is sheathed in SS304 tube having MGO as insulating material. Nickel plated FINS can be provided for better heat dissipation. Powder coated terminal box with compression gland comes standard with heater unit. Thermostat is offered separately.